I miss my sister so much. She goes to school in Arizona and plans to live out there after she's finished school so I don't get to see her that often. We are so close and every time we are together we have a great time. Even though we are miles away, we are always there for each other and can reach out whenever necessary. My sister and I are really close so it is really hard for us to be so far away from each other for most of the year. She lives in Arizona and is in her last undergraduate year at Arizona State University. She plays soccer there and there is nothing more I love to do than watch her play. It makes me so proud and happy to know that my sister is out on the field doing what she loves. 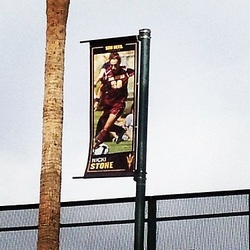 Because her team is in the Pac 12, there are many games that are televised, so my family and I get to watch her on tv. It is not the same watching on tv as it is in person though. Of course, it is exciting to see your sister play soccer on tv because it makes you feel like she is famous, but there is nothing like being there live. The last time I got to see my sister play was in August. I went out to Arizona with some of my family. My dad, brother, and aunt were already in Arizona a few days prior, and my younger sister and I realized that they were having so much fun so we wanted to take the trip out there. We booked our flight a day before we left. Day 1: The alarm clock went off at 5 am for my sister Sam and I to make our flight at 7:30. My mom drove us to the airport and watched us go on our way. Sam is only 15 years old and was only on a plane one time, 6 years ago. Naturally she was very nervous and so was I because I hate to fly. I knew I had to stay composed to make Sam feel comfortable though. Finally after a long flight, we landed in Phoenix, Arizona where my dad, aunt, and brother picked us up. We were so excited because we planned to surprise my sister. 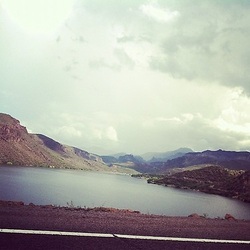 We went all day with just driving around and eating and seeing the scenery and school. We started to get very anxious and excited because we just wanted to see our sister. She was going to make dinner for us that night so finally dinnertime rolled around and we surprised her at her apartment. She was so excited to see us. We all just caught up and talked all night long. 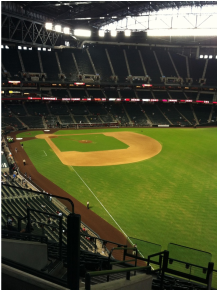 Day 2: We woke up early and planned to go to downtown Phoenix to watch the Arizona professional baseball team. The stadium was really nice. There was a jacuzzi in the stadium and I found it interesting because it was an indoor stadium because the weather gets so hot in Arizona. The team ended up winning. After that we just went to dinner and met with my sister later in the day. It was a nice day to just relax and enjoy family time. 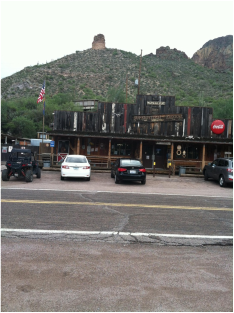 Day 3: Today we decided to go to Tortilla Flatts, which is a tiny town in Arizona with a population of 6 people. The drive there was so beautiful and scenic. We drove up the mountains. Once we got there, there wasn't much to do. It was an old town with a row of 5 buildings. We spent most of the time in the restaurant/bar. We talked with the "sheriff" of the bar and she gave us advice on what to do when we head to a different part of Arizona. We weren't there for that long but we all were excited to drive back down the mountain and look at the scenery again and take more pictures. 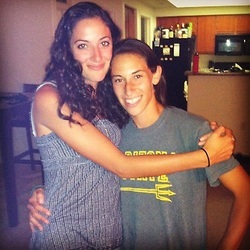 Once back in Phoenix, we just relaxed the rest of the night and went out to dinner with my sister. It was a fun day but we all were just anxious for the next day to watch my sister play soccer. Day 4: Finally it was game day! Her game was in Flagstaff, Arizona so we planned to stay in Sedona for the weekend. 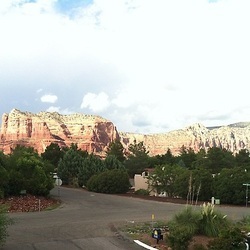 The drive to Sedona was incredible and once we got there, it was beautiful because of the Red Rocks. We quickly checked into the hotel and got a quick lunch than headed toward Flagstaff for the game. 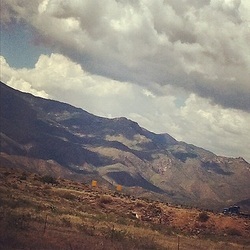 I thought the drive to Tortilla Flatts was nice, but nothing was better than the drive from Sedona up to Flagstaff.